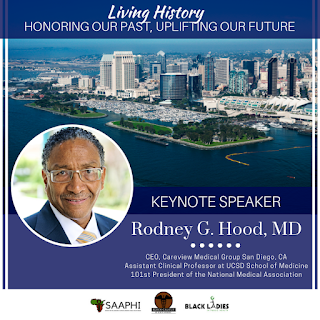 “Living History: Honoring our Past, Uplifting our Future"
It’s hard to believe in just a few weeks we will celebrate the Black Caucus of Health Workers (BCHW) “Golden Anniversary” and Hildrus Augustus Poindexter’s Award Banquet during the APHA 2018 annual meeting, Tuesday, November 13, 2018, 6:00 – 11:00 p.m., in San Diego, California at the San Diego, Convention Center. For more information or to support the BCHW go to bchwinfo1968@gmail.com for membership, donations or contributions. What an honor and privilege to serve as the presiding president for this momentous occasion. It is an honor because the BCHW was established and founded by some of the most prestigious African-American men and women, many whom I know/knew and highly respected. The founders are honored because they took a stand from being invisible to being seen and heard at the American Public Health Association (APHA), the nation’s largest professional health-care organization annual conference held in Detroit, Michigan, 1968. 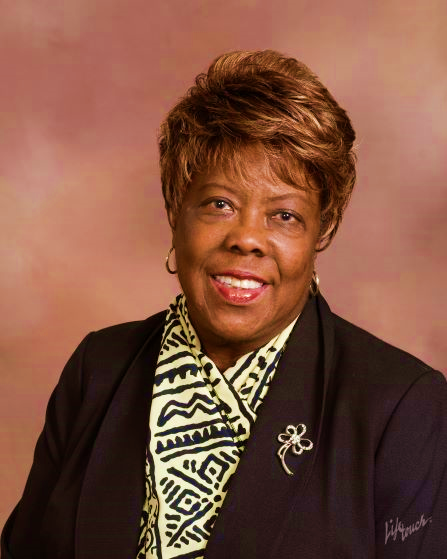 Perceived as being ignored and invisible they demanded justice and equity for African-Americans in need of medical care and public health programs and services. They jeopardized their families and positions while working in hostile, non-receptive environments, fighting for equity and justice. They did this, for us to be more visible, more verbal, to become change agents in leadership positions where we can make a difference in public health, medicine, nursing, health administration, medical care organizations, and, veterans affairs, to cite a few. As the BCHW presiding president for this year’s 50th Anniversary, it is a privilege to serve. It allows me the opportunity to reflect upon some of the BCHW’s most incredible experiences, not just from a perspective of what I was told, or heard, or read, but rather events I witnessed and participated. Most importantly, I have had the pleasure of communicating with some of the few surviving BCHW founders, as well as, with some of BCHW members who were not signed on as founders though directly involved in its organization. During the conversations, I requested permission to write their oral history as they described it and lived it. They declared they would “love” to attend the BCHWs 50th Anniversary. However, due to some physical challenges, it would be difficult for them to attend. What better way to preserve their history and honor their many sacrifices and contribution to the health profession and research than assisting them to attend and participate in the BCHW's, 50th Anniversary? Plans for the 50th Anniversary are in the final stage. There are several major issues that need immediate attention. 2. Election of Governing Board Members - only members with paid memberships through November 1st, 2018 are eligible to vote and/or run for one of the vacant positions on the ballot. Go to bchwinfo1968@gmail.com for complete instructions. 3. Requesting names of past BCHW presidents from 1970 – 1999. We have some names but are missing some. If you have questions and/or any information, you may submit to bchwinfo1968@gmail.com or mail to BCHW of Health Workers, P. O. Box 42784, Evergreen Park, Ill. 60805-0784. 4. Requesting pictures to use on bchwinfo1968@gmail.com or mail to BCHW of Health Workers, P. O. Box 42784, Evergreen Park, Ill. 60805-0784 and any memories and tips to add. If you are planning on attending the APHA/BCHW annual conference in San Diego, California, Friday, November 10 – 14, 2018, please let us know at bchwinfo1968@gmail.com. Also, don’t forget, some of our members may not be computer savvy or have computer access. Therefore, we need to communicate with them either by mail or telephone. Please provide them with this address where they may send any information, pictures, etc. to BCHW of Health Workers, P. O. Box 42784, Evergreen Park, Ill. 60805-0784. We welcome you to the BCHW historic event, the “Golden Anniversary.” Please join us as we celebrate 50 years of service, from 1968 to 2018 from dedicated men and women throughout the U. S. with diverse education, experience, and professional backgrounds. On behalf of the BCHW, our heroes and heroine, I thank you. If you are not a member, Join Us……We need you!....If not YOU, then WHO!